Wherever you go even some of the remotest locations in the world, there will always be someone who can identify Kenya from its renowned long distance runners. It is a strong affiliation that markets brand Kenya beyond the sporting borders and ranks the country favourably. Hundreds of foreign athletes troop into the country prior to major championships to live and train like the Kenyans in hope that they too can acquire the litheness of the local runners…not to mention the researchers, journalists who tug along looking to bare the 'underlying secrets' of these long distance runners. 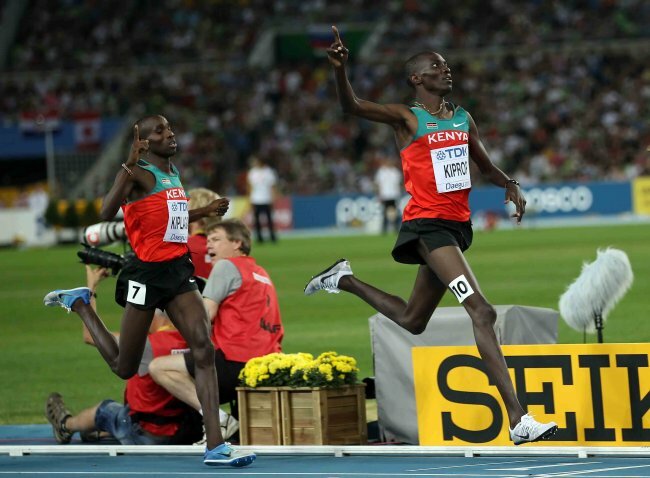 So when a group met in Eldoret to resolve that they will urge runners from the region to withdraw from Olympics as a sign of protest, it came as a shock to many a sport lover. Incontestably, they are indeed Kenya’s natural treasures even without the monies they pump into the economy from their mega earnings. Gems that should be closely guarded and protected at all costs especially from those keen to exploit them for their own selfish gains. It would take a seditious person to even imagine influencing these treasures to boycott the biggest event in the world, the Olympics to champion selected individuals’ cause. This would be a breach of the International Olympics Committee, IOC olympism goal to place sport at the service of the harmonious development of man not to mention that the Lausanne based organisation strongly opposes any ‘political or commercial abuse of sport and athletes’. That is why the statement by the bloc that they would “ask athletes to boycott the Olympics over imminent International Criminal Court trials,” did not go down well with many sports fans. For the longest I have watched and covered our athletes internationally they don Kenyan jerseys’ and drape the national flag and never have they been classified as a runner from Kenya Central or Kenya Northern. World over Sports has been used to promote peace following instability often caused by Political upheavals. It is therefore venal and woolly to even imagine influencing an athlete from pursuing his/her Olympic dream to champion a felonious cause. An aspiration that would literary open doors for this young Kenyan in terms of earning and recognition in a country, where majority of the youth is either underemployed or unemployed. Sending 5 million signatures to The Hague to oppose trials against four? Team Kenya needs just a portion of this to facilitate their travel and stay in London for the Olympics? So why not set aside just a fraction of this travel budget estimated cost of travel of about USD 600m to refurbish the Kipchoge Keino Stadium used by hundreds of ‘our athletes’ for training and has now been reduced to more of a grazing field to ensure sustainability of your goad? Or maybe pump the millions into the depleted sports budget? How fast we forget! Weren’t these same ‘athletes’ who unified us after the deadly post election violence as we all cheered them to victory at the 2008 Games in Beijing and at that moment overlooked our ethnicities? Do you remember jamming the JKIA to welcome and bask in the glory of their Olympic honours? Evidently the mix of sports and politics was not such a bad thing then.Indeed Sport has been used to bring political antagonists together for instance India and Pakistan through cricket. But we need to know when politics end and sports begin. Bellow your political innuendos amongst your allies and cliques but keep them off our congenial sporty arena.